5-24VDC Signal Power splitter for LED the SkyPuck Controller. 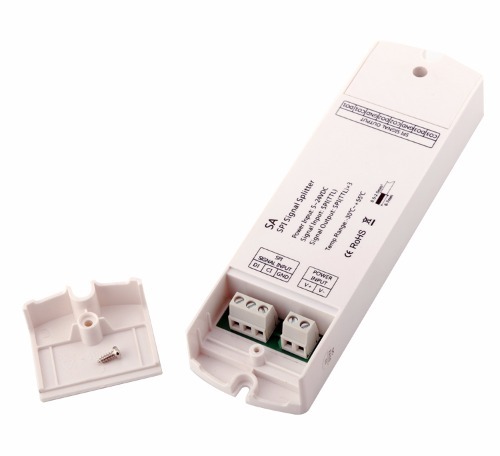 This splitter can provide a secure, low-cost solution for LED lighting projects. The splitter can be used to split one signal for up to three different parallel strips of lights or two strips of lights and then to another splitter for even more rows of lights. You can connect multiple splitters together to split the signal as needs.